Chickaloon author Eowyn Ivey has hit the jackpot with her first novel, The Snow Child. Her story about two homesteading Alaskans almost a century ago is capturing the attention of readers from Norway to Australia. The title was released in the US this week, to glowing reviews by writers and critics. 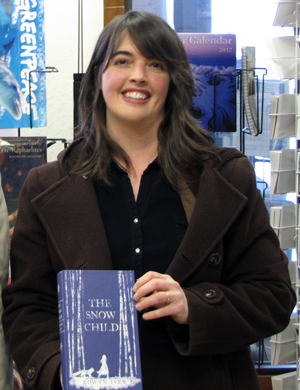 KSKA’s Ellen Lockyer spoke with the author at Fireside Books in Palmer, where she was signing copies of the novel.